Today is Constitution Day—the anniversary of the day America’s founders signed the Constitution of the United States. 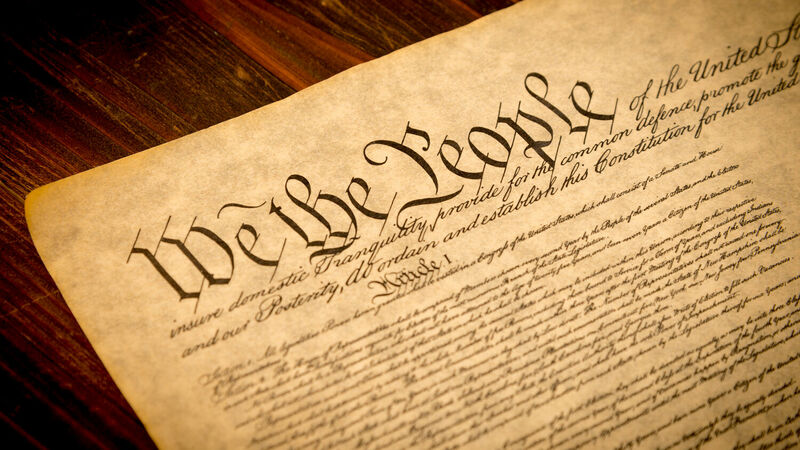 As of today, the Constitution is 231 years old, older than any other written constitution still in use. Yet rather than honor this remarkable document, prominent liberal media outlets are condemning it as an outdated, malfunctioning piece of junk that needs to be abolished. Levinson is the author of a book titled Our Undemocratic Constitution: Where the Constitution Goes Wrong (And How We the People Can Correct It). He condemns the Constitution as an undemocratic document that stops people from electing the leaders and passing the laws that they want. While Levinson ends his article by questioning whether the Constitution is still relevant, Klion ends his article with a rallying cry to “abuse the Constitution” by “invoking the will of the American people.” It seems that after two years of claiming that President Trump colluded with Russia to “steal” the U.S. election, progressives are adopting a new strategy. They admit that Mr. Trump is the constitutionally legitimate president of the United States, and so the solution to their dilemma is to try to destroy the Constitution. Whether people realize it or not, these anti-Constitution ideas come straight from Marxist socialism. Roughly 40 percent of American adults now say they prefer socialism to capitalism, despite the fact that the Constitution prohibits the government from amassing the immense power over the free market that socialism mandates. That figure indicates that there are at least 98 million Americans who view constitutional property rights as out-of-date. Yet these people cannot legally change the U.S. Constitution unless they get the support of two thirds of both houses of Congress or two thirds of the state legislatures. Since this is unlikely to happen in the foreseeable future, more people are adopting a similar approach to David Klion and “abuse the Constitution” by “invoking the will” of their supporters. Such lawlessness is dangerous. Many Americans are growing discontented with the nation’s founding charter, but there are not enough of them to legally abolish it, so they resort to obstructionism, civil disobedience and, in some cases, outright rioting. How widespread and how violent will this lawless movement get? Bible prophecy provides the chilling answer. Most people do not know it, but the Bible shows that the modern descendants of ancient Israel include the United States. Isaiah prophesies that the land of these modern Israelites will be laid desolate. “And the people shall be oppressed, every one by another, and every one by his neighbour: the child shall behave himself proudly against the ancient, and the base against the honourable. When a man shall take hold of his brother of the house of his father, saying, Thou hast clothing, be thou our ruler, and let this ruin be under thy hand: In that day shall he swear, saying, I will not be an healer; for in my house is neither bread nor clothing: make me not a ruler of the people. For Jerusalem is ruined, and Judah is fallen: because their tongue and their doings are against the Lord, to provoke the eyes of his glory” (Isaiah 3:5-8). This passage describes a time when lawlessness will become so prevalent in America that people will not be able to find someone willing to take charge of their starving and ruined nation. One major reason for this devastation is that Americans will clash with one another over this issue of government control (Isaiah 1:4-7). By its very definition, big-government socialism is directly opposed to small-government constitutionalism. Socialism is based largely on atheism, and the American Constitution is based largely on the Bible. Increasingly, people are trampling both on the Constitution and the Bible in an ends-over-means attempt to do what is right in their own eyes. To learn more about how prophecies from Isaiah and other biblical books apply to America, read “Communism in America Today,” by Trumpet editor in chief Gerald Flurry.